Seldom offered for sale. 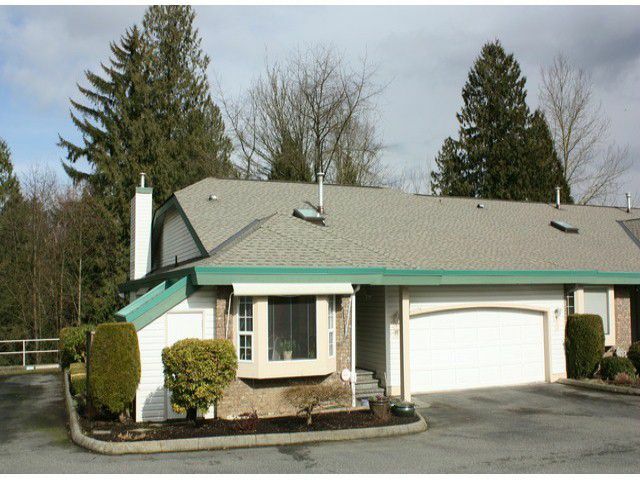 Large END RANCHER STYLE spacious well-kept townhome with DOUBLE GARAGE! This home is situated at the peaceful quiet private end of the complex overlooking Greenbelt with Horn Creek. Bright and open Oak Kitchen witha family sized eating area. Separate formal dining - living room. Upper and lower covered sundeck /patio. Full professionally finished bright walk-out basement complete with a third guest bedroom, full bath and 22' X 19' rec/theater room and 19' X 15' crafts/workshop areas. This is a very well managed and maintained owner occupied 45+ complex within walking distance of Seven Oaks and West Oaks malls.